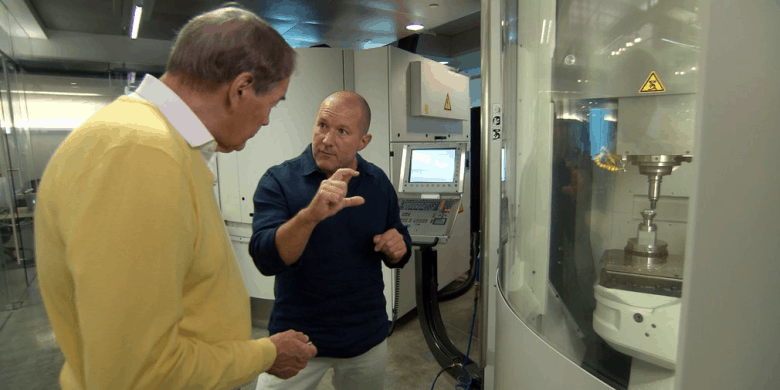 Jony Ive shows Charlie Rose the company's secret design studio. 60 Minutes host Charlie Rose took a deep dive into all things Apple in an episode that aired Sunday. Featuring interviews with Tim Cook, Jony Ive, Phil Schiller, Angela Ahrendts and others, the show explored everything from the iPhone’s inner workings and Apple’s manufacturing in China to Cook dancing around the question of whether Apple is building a car. Check out our 10 takeaways below. If you’re part of the very exclusive executive team at Apple, you’re expected to participate in a mandatory 9 a.m. Monday meeting that brings everyone together to talk about everything that’s going on within the company or coming up soon. Charlie Rose got a rare peak inside Jony Ive’s secretive design lab. There are 800 engineers and other specialists who work full-time on the iPhone camera. The camera itself contains 200 separate parts, some of which are astonishingly tiny. For instance, the four wires that hold the autofocus motor in place are 40 microns thick — thinner than a human hair. To take one picture on the iPhone, 24 billion operations take place. Asked directly whether Apple is working on an Apple Car, Cook laughs and says Cupertino is more secretive than the CIA. Sadly, this means no 60 Minutes exclusive Amazon drone delivery system-type preview of Apple’s future tech. 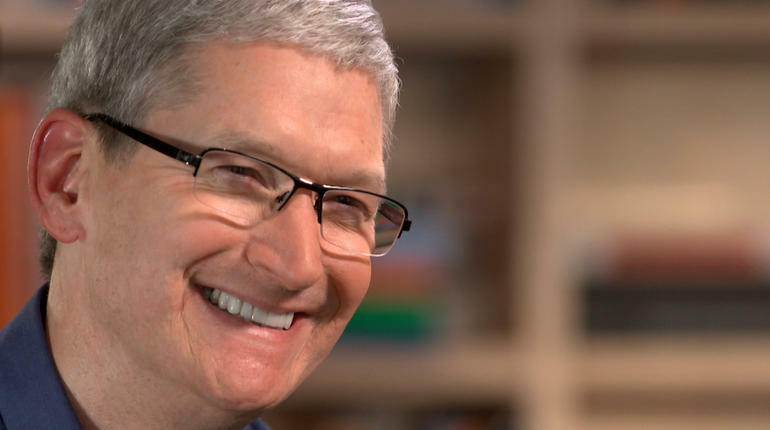 Tim Cook answered some tough questions during his interview. In other words, Cook was just as outspoken about the right to privacy as ever. 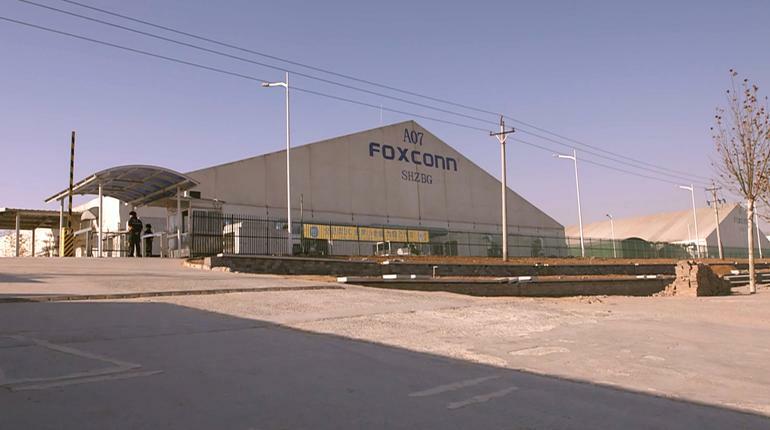 Apple’s reliance on Foxconn is more about skills than cost, Cook says. The reason Apple builds so many of its products in China has less to do with the country’s large and cheap workforce than it does with the skill of Chinese manufacturers. 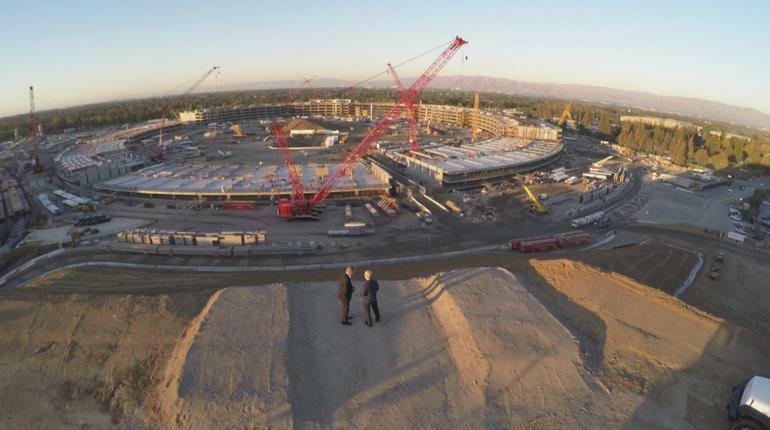 Apple’s new HQ is going to be awesome. Jony Ive underlined his role in helping design Apple’s upcoming “spaceship” campus. On the day the 60 Minutes episode was filmed, a workforce consisting of 3,500 people were (among other things) installing the first of 3,000 sheets of curved glass imported from Germany — which will wrap around the entire building. “This is the largest curved piece of glass in the world,” Ive says, noting that he will enjoy a new office on the building’s top floor.